I’ve been using this bass for 1 year now. 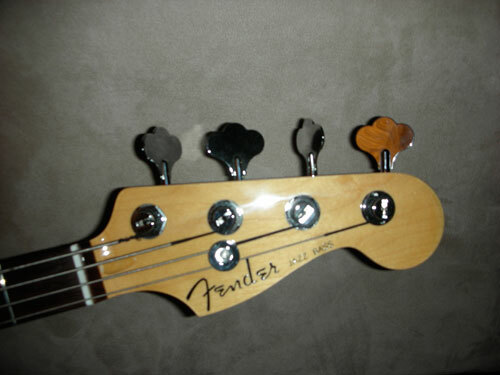 This is my first bass guitar. I didn’t know what I was looking for and I knew about a couple of brands out there. I ended up spending 2 hours at Guitar Center going through all the basses between $300 and $1000. I was talking to the representative who tried to sell me towards the jumpstart packs (full gig set). After trying out the bass that was in that pack I thought it didn’t sound as great as the solo models. I went through Epiphone, Ibanez, Laguna, Musicman, and Fenders. I was about to go with Laguna because of their look but then I found mine. This puppy growls. More importantly, the color is cherry sunburst. My wife told me that I wasn’t allowed to buy a black bass. The quilt top brought out really cool oranges and deep yellows. 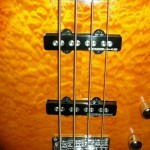 It’s a 4-string bass that add a punch to the low E.
I am still satisfied with this bass even after a year of playing it. The tone and sustain carry (especially when I compare it to a friend’s schecter. The sound is clear and strong. I’m the kind of guy that goes in the store and buys then does the research later. 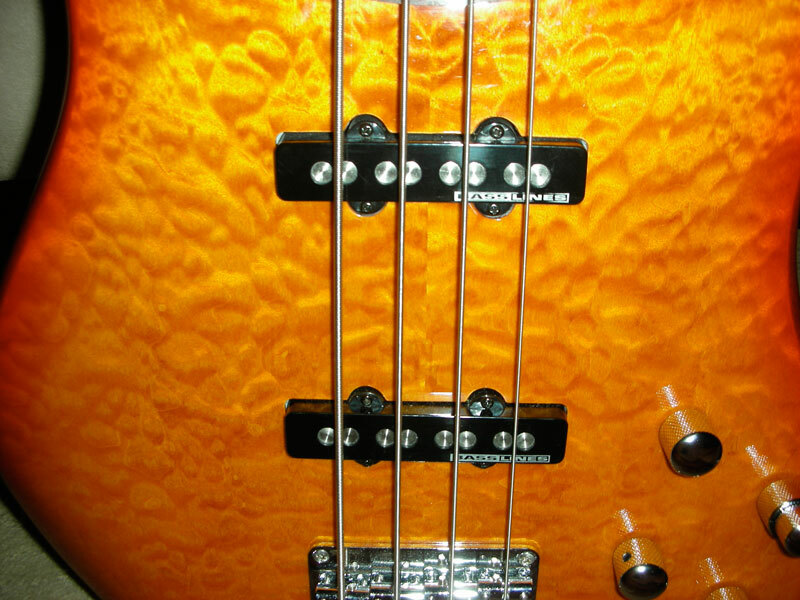 Turns out that the Seymour Duncan Bassline pickups are pretty good on this bass. However, every once in a while I hear a buzzing noise when the treble is up. I think I need to bring it in for a checkup. The video also mentioned that you can have the same make/models that sound different. Oh, going back to the length. It’s long. I find myself in pain because I’m holding my left hand stretched out. 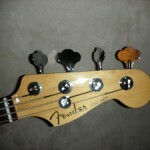 Other than the buzzing on the high treble and the length, I think this bass is really sweet and a good starter bass. Here’s the the thing on the length. I bought a case for the bass and it didn’t fit. The case was too short and they person who sold it to me said that it’ll be okay. It took me a while to find a better hard shell case for this case. I ended up with a Road Runner case with a lot of room. If you’re thinking of getting a bass, I recommend this one mainly for the price and the sound. Post up some youtube vids! 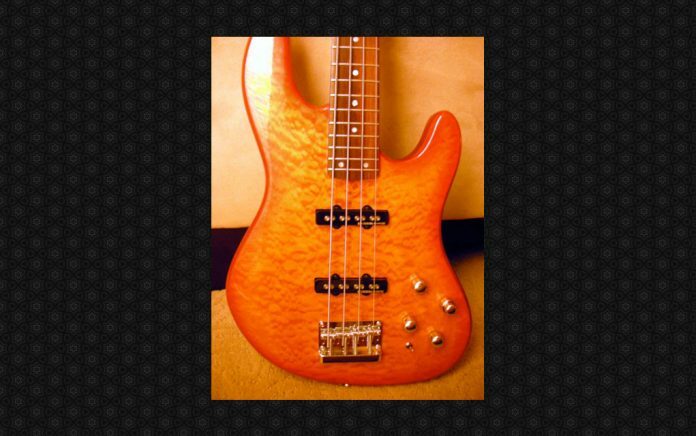 You advertised this bass for sale some months back – you wouldn’t happen to still have it would you? I’m in the Bay Area and in the market now.